Worcester’s Rebecca Redfern (SB13) starred on day three of the ASA National Summer Championships 2015 as she lowered her own SB13 British Record to win gold in 1:20.56 (877 BDP) in the Women’s MC 100m Breaststroke. The silver medal went to Richmond Dale’s Lily Macleod (SB13) in 1:29.30 (644 BDP), her second silver of the competition. Basildon Phoenix’s Danielle Hartin won bronze with a time of 1:28.07 (638 BDP). In the Men’s MC 100m Breaststroke, Rotherham’s Joseph Seage (SB14) took his second gold of the competition, posting a time of 1:20.13 (579 DBP). Gloucester’s Daniel Bennett (SB8) touched second in 1:21.69 (554 BDP), while City of Sunderland’s Gareth Orr (SB14) posted a time of 1:26.67 (456 BDP) for third. In the Men’s 12/13yrs 200m Butterfly, a determined final 15 metres saw Leinster’s Sean Scannell edge ahead of the field to touch first in 2:19.02. Northampton’s Edward Mildred touched second in 2:19.56 and was crowned ASA National Champion with Huw Williams (Millfield) taking silver in 2:20.89 and James Newman (City of Leicester) receiving bronze with a time of 2:22.69 for his third medal of the competiton. Samuel Wardle showed his strength in the final 50 metres of the 14yrs 200m Butterfly. The City of Leeds swimmer pulled away from the field to take gold in 2:17.75. Silver went to Northampton’s Jack Buswell in 2:20.26, while Royal Wolverhampton’s Samuel Harris and Mid Beds’ James McFarland both touched in 20.46 to take bronze and share the third step on the podium. In the 15yrs age group, Chelsea and Westminster SC’s Christy Moon dominated the final 100 metres of the race, winning gold in 2:11.70. Ealing’s Miles Clark posted a time of 2:13.27 to take his second silver of the competition while Tynemouth’s Eliot Snowdon touched third in 2:15.46. Warrington Warriors swimmer Aaron Hill went out fast in the 16/17yrs 200m Butterfly, extending his early lead with every stroke to win gold in a new PB of 2:07.12. Plymouth Leander’s Frederick Cornwell touched in 2:08.40 for silver while West Suffolk’s Alex Proffitt rounded out the top three, touching in 2:09.89 to take bronze. In the 18yrs+ 200m Butterfly, Rushmoor Royals swimmer George Emmins found an extra gear of the final stages of the race to take gold in 2:04.86. Local City of Sheffield swimmer Callum Nortje touched second in 2:06.54 with the bronze medal going to Guilford City’s Riann Steyn in 2:07.45. Nothing separated Isabella Fakkel and Tabitha Watkins heading into the final 10 metres of the Women’s 12/13yrs 200m Breaststroke. In a final push for the wall it was Guilford City’s Fakkel who took gold in 2:42.66 ahead of Bicester’s Watkins (2:43.07). City of Birmingham’s Erin Davie touched third in 2:43.60. After turning in second place at the 100 metre mark Norwich’s Honey Harvey dug deep to take gold with a time of 2:43.09 in the 14yrs 200m Breaststroke ahead of early leader Elizabeth Booker (City of Bristol) who touched in 2:43.16 and Nova Centurion’s Lauren Anderson in 2:45.19. Martyna Szmagara held onto her early lead to touch first in the 15yrs 200m Breaststroke in 2:43.10. Guilford City’s Amy Hodgson was crowned ASA National Champion after touching second in 2:44.32 just ahead of Wandsworth’s Morgan Penney who took silver in 2:44.80, while City of Leicester’s Milly Scotchbrook posted a time of 2:46.10 to win bronze, her third medal of the competition. In the 16/17yrs 200m Breaststroke, Thanet Swim’s Sophie Waller controlled the race from the start and was able to maintain her lead in the final metres of the race to win gold in 2:40.18. Millfield’s Laura Marzolini posted a time of 2:41.33 to take silver with Mount Kelly’s Abi Rawlings third in 2:42. 28. 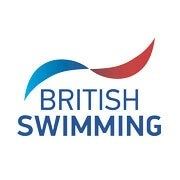 All three swimmers touched in new PBs. Natalie Coogans won the 18yrs+ 200m Breaststroke in style. The West Norfolk swimmer set a new lifetime best as she extended early lead to almost ten seconds by the final touch (2:34.50). City of Hereford’s Calypso Harvey touched second in 2:43.85 with Maxwell’s Ruth Bridgman taking bronze in 2:45.56. “I haven’t actually had a PB in this race all season,” said Coogans. “I did a slight PB in the qualifying heat and then a nine second PB tonight so when I touched the wall and saw my time, I burst into tears.